VAR filament winding process utilises slit tape towpreg to accurately lay up the carbon fiber in an automated, computer controlled process. The use of preimpregnated carbon fiber tape allows us to use the latest resins that offer the optimal blend of high glass transition temperature (Tg), toughness and impact resistance. 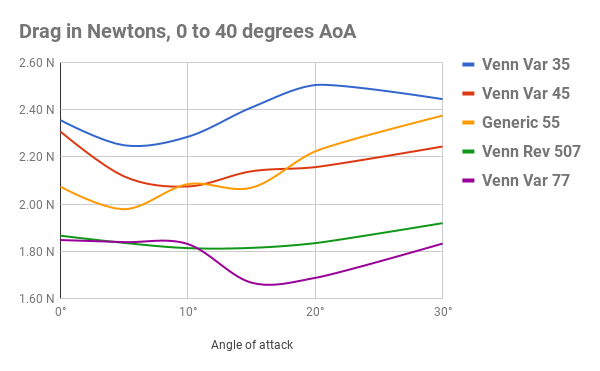 Var rims can therefore be used in challenging conditions where extended braking periods are expected. 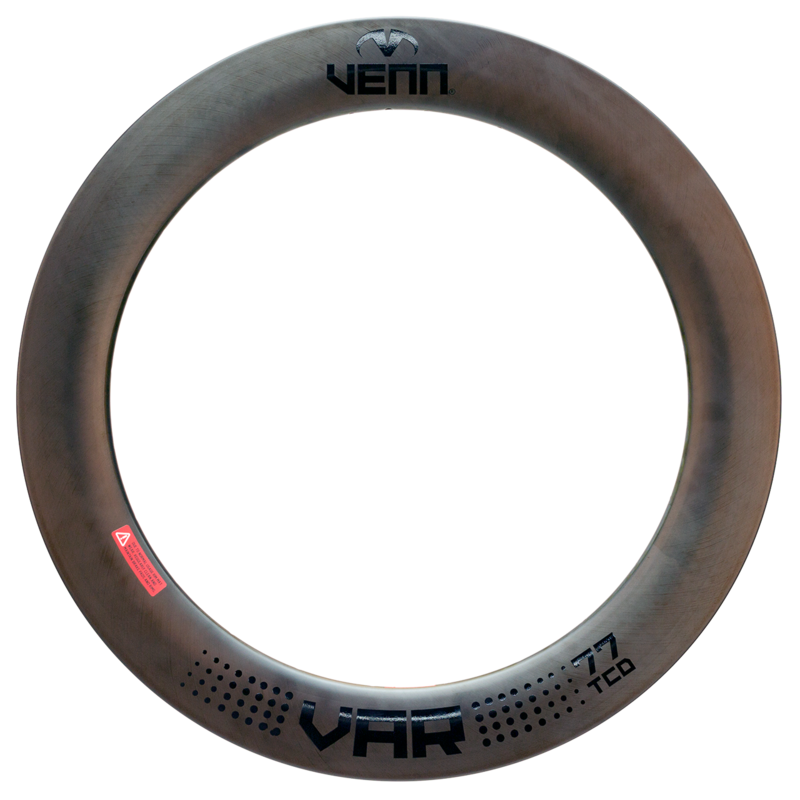 The profile of the Var 77 TCD rim was developed using the world first artificial intelligence driven process to offer the best aerodynamics when used with 25-28mm tires. 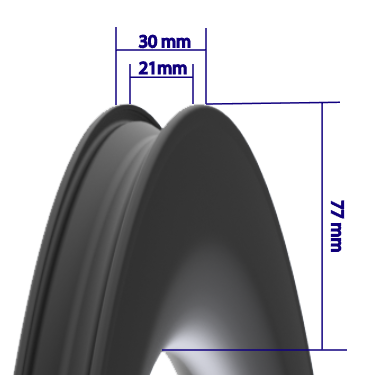 The external width of 30mm optimizes the airflow in combination with wider tires, while the internal width of 21mm ensures that the wider tires achieve a stable, round profile.